I have friends, colleagues, clients, and family members who are all going through tough times. Lost jobs, reduced budgets, challenging work situations, even more challenging home situations – all this and more seems to be showing up for many of those around me. The “hows” of life at times get difficult, and we’re faced with challenges and obstacles that seem too insurmountable or difficult to bear. As I observe this I notice an underlying full agreement to Nietzsche’s words; a truth I’ve found in my own life as well. 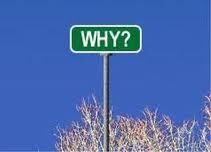 Those who have a “why”, a fuller purpose, a passion for what they’re doing – they get through the tough times easier. When I’m faced with a “how” or a challenge, if I’m fueled by an intense belief in what I’m doing, or by a firm desire to reach a specific goal, I have much more strength, ability, and agility to work through my difficulties and setbacks. Sometimes our “why” is clear to us, and sometimes we have to dig deeper to find a reason to fuel our efforts and ease our way. Sometimes it’s a “why” that will resound with others, and sometimes it’s our own personal why that no one else will understand. Either way, finding (or developing) a “why” will help you through any “how”. What is your why? How can you find one if one isn’t clear to you now? For support in finding your why, contact Robyn at rmcleod@chatsworthconsulting.com.